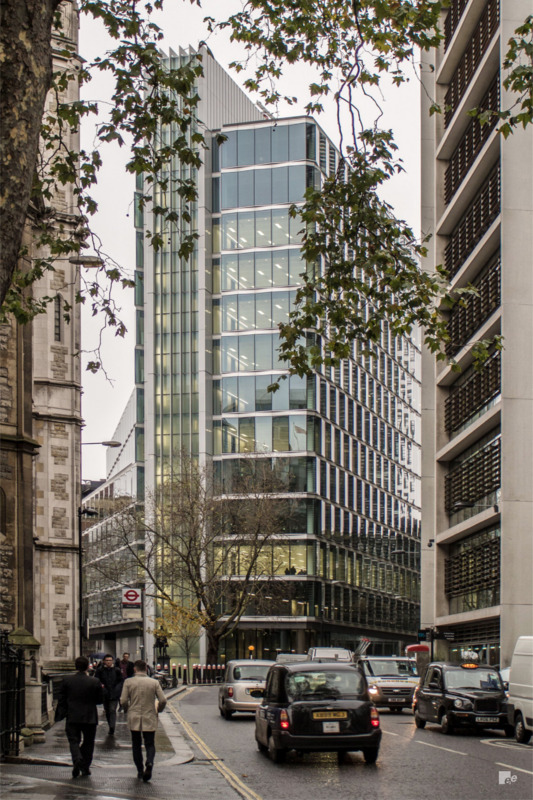 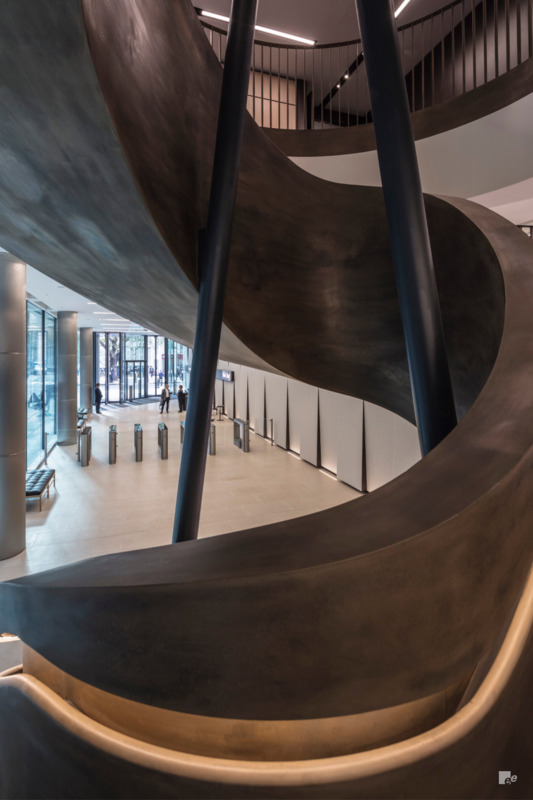 Law firm Bird & Bird required a commanding feature staircase for their new 12 floor, 140,000 sq ft London headquarters. 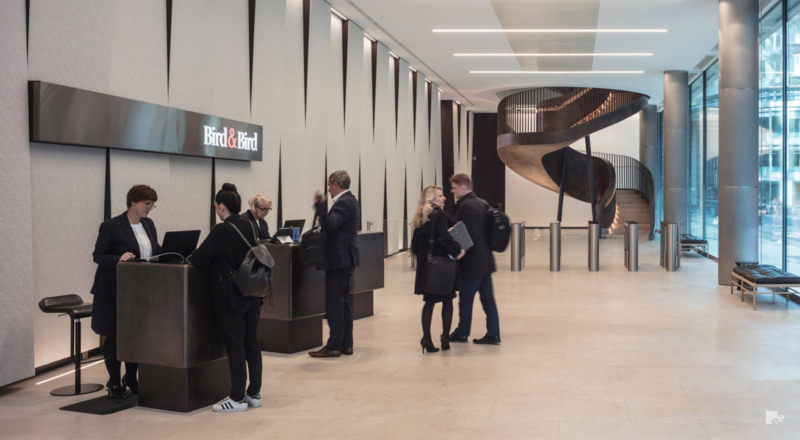 The stair is the focal point of a street-level reception area, designed to transition large numbers of visitors easily up to seminar spaces and a client business lounge on the first floor. 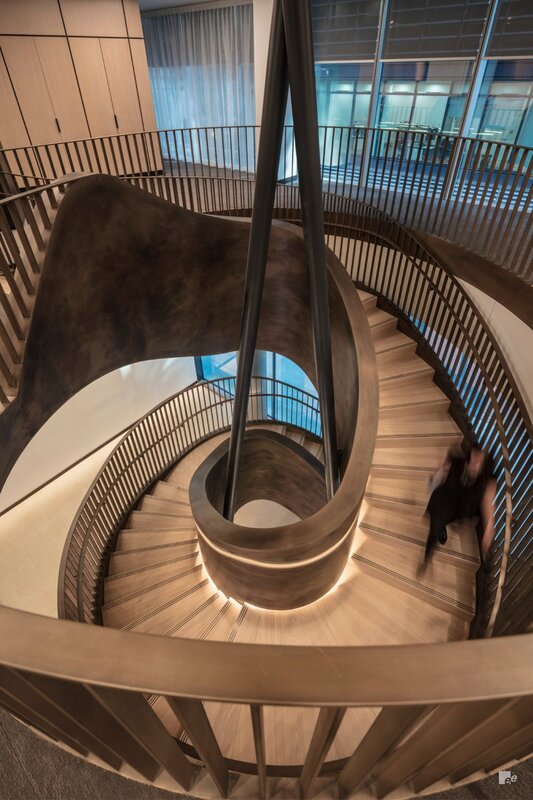 With the staircase making an elliptical journey, towering 6.2m in height and punctuated by four landings, the pursuit for structural performance was a significant challenge. 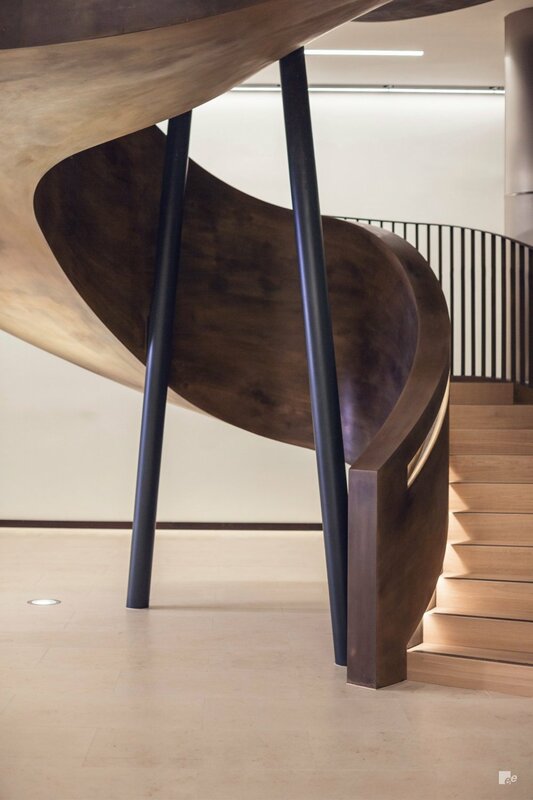 This required the discreet placement of 12 tonnes of mild steel and development of an incredibly stiff inner balustrade, countered by a seamless elliptical EeSoffit, specialist antique bronze liquid-metal finish and illuminated, recessed handrail detail.